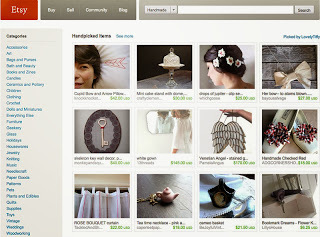 How To Develop An Online Marketplace Website Like Etsy? Trading is an age old concept. Buy and sell are the two mechanisms which has nurtured this industry. In this digital era, the traditional way of selling products is accompanied by online industry. This creates a new space for online marketplace websites like etsy. Any entrepreneur in the world can use this opportunity to create an etsy clone website. This website will invite users to shop various products from the merchants. The webmaster earns a small amount of commission from every product sold on his website. Developing an online marketplace website is not an easy task. You should think from the prospective of a merchant as well as a user. They require a good web design, a safe payment management system, internal messaging system, a review system, etc. After consolidating all their requirements, you also have to focus on your website requirements like SEO options, log in options, user management capabilities, merchant management options, anti-spam control, etc. After this the tedious task, you have to start the development of an etsy clone website. This consumes more time, resource and money. To combat all these situations, Agriya developed an etsy clone script- BuySell. This script empowers the website admin to create a revolutionary online marketplace website. This website has various multi-dimensional features and versatile revenue options. All this can be developed in a short span of time. Agriya’s BuySell has various features which can add additional functionality in your script. Let’s have a look at it. This script also has various revenue generating options like website commission, revenue for featuring a shop, advertising banners and advertisement captcha. Agriya’s etsy clone script is developed by geeky minds. They have the power of technology and features. They also develop a real-time etsy clone website within weeks. It is a customization-friendly script. You can easily customize the script with accordance to your target audience. Developing an online marketplace website from a scratch is not an easy task, but Agriya’s clone scripts make it very easy to develop an online shopping mall easily.